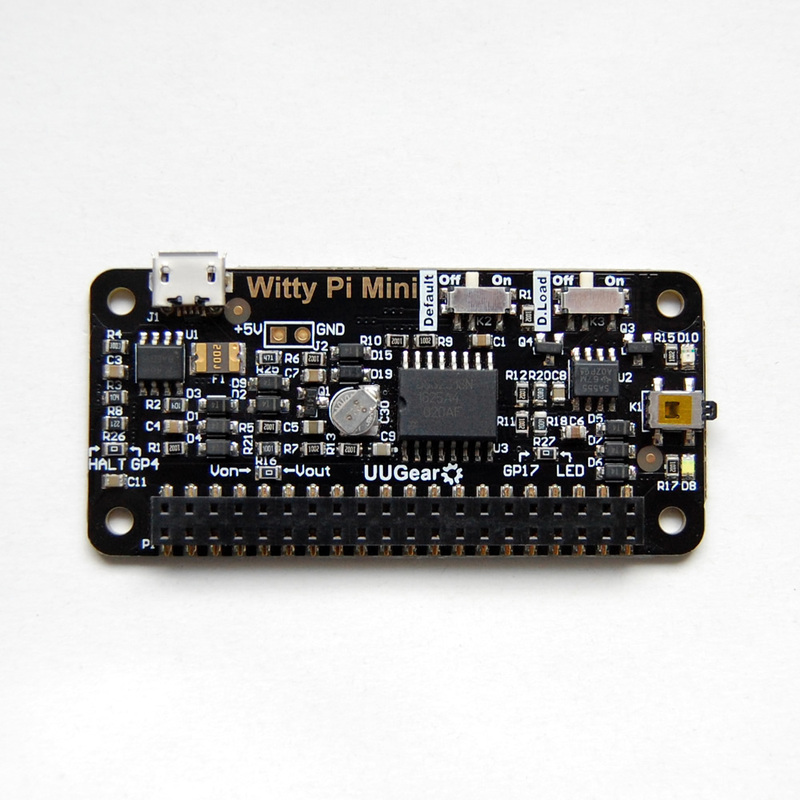 Today we are very proud to announce our new product – Witty Pi Mini. What is Witty Pi Mini? It is a new member of Witty Pi family and it has pHAT shape. Comparing to its older brother Witty Pi 2, Witty Pi Mini is much smaller (65 x 30 x 4mm) and has (almost) all the functionalities. 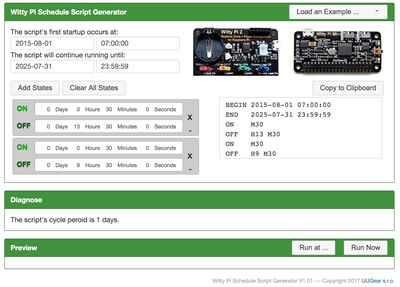 It uses a 0.08F (equals to 80,000uF) super capacitor for off-power time keeping, and can keep the RTC time without external power supply for about 17 hours. It is true that Witty Pi 2 with CR2032 battery can keep time for much, much longer, but considering the use case of Witty Pi, that may not be necessary as Witty Pi is suppose to be connected to power supply all the time (otherwise it won’t wake up your Raspberry Pi). Sometimes you may want to move your Witty Pi to another room, or make some special wiring before powering Witty Pi again, 17 hours off-power time keeping should be enough. If you really need a much longer off-power time keeping time, you can make use of the “Vbat” testing pad on the back and connect your own battery for much longer time keeping. You can find more details on page 31 in the user manual. Different than Witty Pi 2, Witty Pi Mini doesn’t have those colourful jumpers. However the functionalities of those jumpers still exist, but you will use them in a different way. The red and blue jumpers are replaced with two SPDT switches, and the yellow and green jumpers are replaced with zero-Ohm resistor. You can still change the pin used by Witty Pi Mini, but you will need to unsolder the R26 or R27, and wire the pad to the new pin accordingly. Witty Pi Mini has a red LED on board as power indicator, which will light up when your Raspberry Pi gets powered. This is very handy when you use Witty Pi Mini with Raspberry Pi Zero (W), which doesn’t have power indicator on board. Raspberry Pi Zero (W) should have the 40-pin GPIO header (not included in the package) soldered before connecting to Witty Pi Mini. The plastic screws, nuts and spacers in the package can firmly fix them together. 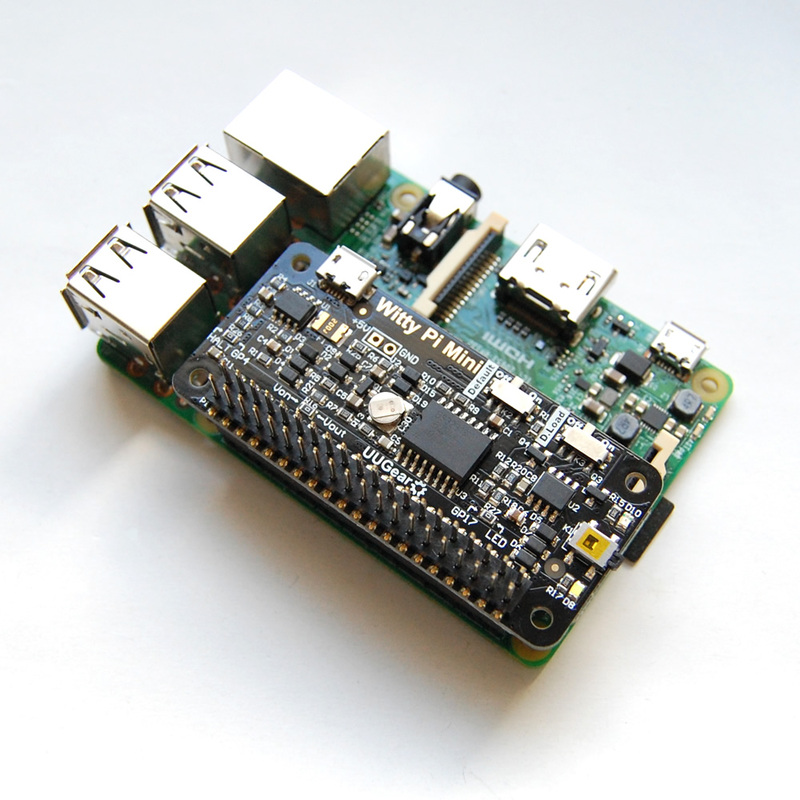 Although Witty Pi Mini has pHAT shape, it can also be used on other models of Raspberry Pi. In order to get reliable connection and also have access to the GPIO pins, you may need to mount the stacking GPIO header (not included in the package). 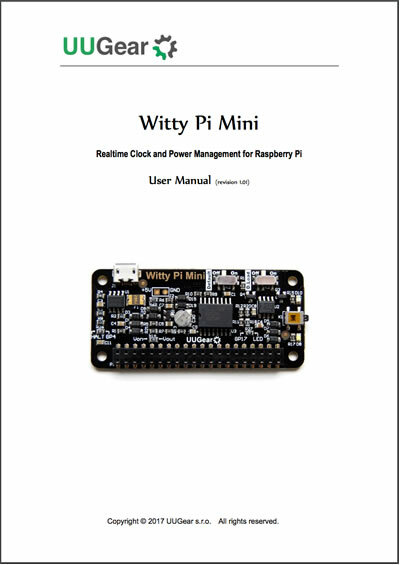 You may find more details in the user manual of Witty Pi Mini. 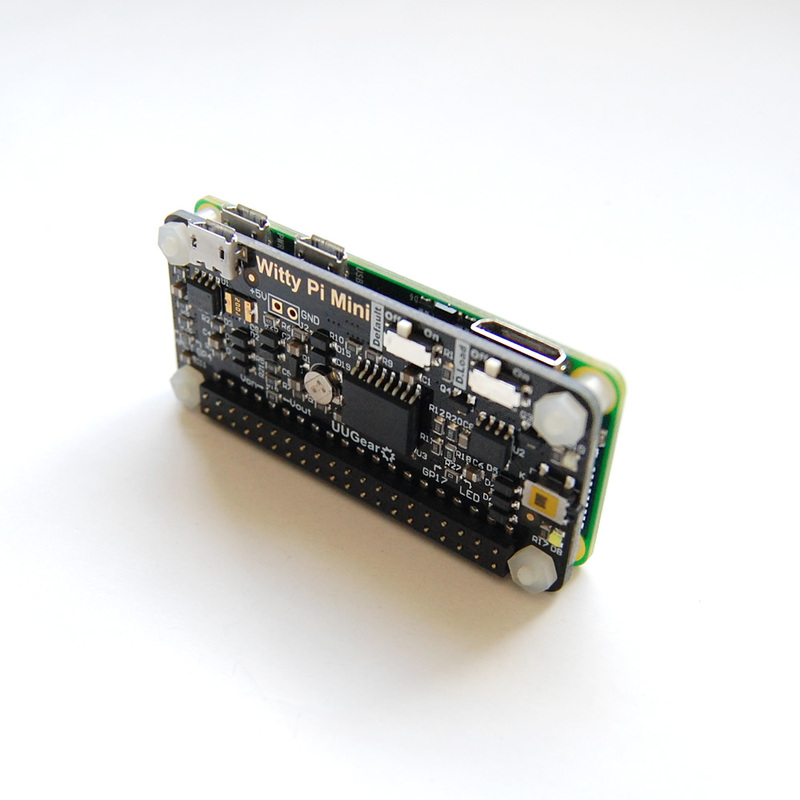 Now you can buy Witty Pi Mini from our online shop, or from The Pi Hut.